I get a lot of flak from the mainstream medical community. Just because I believe people have a right to know there are safe and effective natural solutions for just about every health condition under the sun. But the more people learn the truth, the more it cuts into Big Pharma’s profits. They don’t like that too much. So it REALLY burns me up when I see other “alternative health experts” pushing inferior products… just to cash in. Or telling half-truths to sell their goods. That’s exactly what’s happening with turmeric. If you’ve picked up a magazine or logged onto the Internet in the past year, I’m sure you’ve heard of it. Turmeric sales have skyrocketed over the past few years. 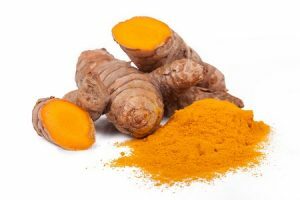 Here’s the reason for the hype: Turmeric has an active ingredient called curcumin. Curcumin is a staple in Indian food. It’s what gives curry its golden yellow color. And research shows it’s effective at knocking out inflammation and easing aching joints. You’re not getting the whole story. With so many fly-by-night new “supplement gurus” cashing in on the turmeric hype, they’ve left out a very important fact. Turmeric works by “shutting down” your body’s COX-2 enzyme. The COX-2 enzyme is your body’s “pain enzyme.” Scientists say it plays a key role in the inflammation. And while turmeric can definitely help… There’s a way to harness the healing powers of turmeric that will make turmeric work MUCH BETTER for YOU. A “secret” pain-relieving enzyme with 70 years of use and over 160 peer-reviewed, verifying studies proving its effectiveness. I’m talking about proteolytic enzymes. European doctors have used proteolytic enzymes for over 70 years to treat everything from chronic pain and sports performance to chronic diseases like cancer. Proteolytic enzymes are so effective because they break down excess fibrin. Fibrin is your body’s first response to pain and injury. Fibrin is the base material for clots, scabs and scars. In normal amounts, it’s a good thing. But when fibrin grows out of control because of chronic inflammation, you end up in pain. That’s where the proteolytic enzymes come in… They act like a clean-up crew for excess fibrin. Now, for the first time, there’s a brand new way to combine this “miracle” enzyme with turmeric… And provide a double-whammy of relief wherever it hurts. 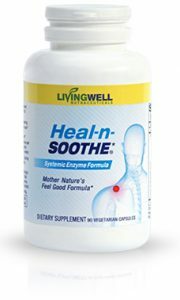 I use this breakthrough technology in Heal-n-Soothe®. So that you have the most advanced pain relief available. And it’s ALL NATURAL. But I’ve done more than that in my Heal-n-Soothe® product. There’s a reason Mother Nature has so many effective pain-relieving weapons in her war chest. They were never meant to be used alone. Taking just one — like turmeric — will help alleviate pain and inflammation. But when you COMBINE them, the results are incredible. I’m talking about off-the-charts pain relief. Take bromelain, for example. It’s an enzyme found in pineapple. It’s so powerful that hospitals even use it to relieve post-surgical pain. A number of studies show it works to treat osteoarthritis pain. One study looked at patients with degenerative spine or painful joint conditions. 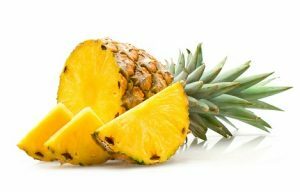 Taking bromelain alone cut chronic pain in HALF and acute pain by 60 percent! It’s one of the most commonly prescribed treatments for pain relief in Europe. In fact, devil’s claw accounts for nearly 75% of all prescriptions for rheumatoid arthritis in Germany. It also slashes painful symptoms of tendonitis, bursitis… even lower back pain! Devil’s claw has active ingredients called harpagosides. A study published in the journal Rheumatology compared a Devil’s Claw extract of 60 mg harpagosides a day and 12.5 mg a day of Vioxx for six weeks in 79 patients with severe lower back pain. The results? Devil’s Claw was as effective as Vioxx—without the terrible side effects. I’ve carefully researched each and every ingredient. And studied how they work together to provide the ULTIMATE in pain relief. You won’t find this unique combination of pain-relieving ingredients in any other product on the market. These carefully selected natural ingredients are what helped me put an end to years of debilitating pain. My Heal-n-Soothe® has helped tens of thousands of people around the world live pain-free. To learn how Heal-n-Soothe® can help YOU stop the pain NOW, just click here. Brien, Sarah, et al. “Bromelain for Treatment of Osteoarthritis: a Review of Clinical Studies,” Evid Based Complement Alternat Med. 2004 Dec; 1(3): 251–257. Stewart KM and Cole D. “The commercial harvest of devil’s claw (Harpagophytum spp.) in southern Africa: the devil’s in the details.” Journal of Ethnopharmacology. 100.3 (2005):225-36. I have been using hns for 3 weeks starting with 9 caps perday. I then started to feel significantly better. Now i take 3 to 6 caps per day and nearly finnished my2 bottle. I now can sleep on my side.. and can drive again. My days are mostly pain free. Managing the pain and capsules is ongoing hopefully i will find the exact dose to keep me painfree. Although i can still feel the problem in my spine. It is no longer debilatating and constantly painful.. thank you.. Thank you so much for letting us know how you are progressing with the Heal-n-Soothe. It is great to hear that you are making such good progress. We appreciate you sharing your experience with us. I take turmeric with ginger powder,honey and almond milk,put in microwave one minute,stir. Every other day. Bromelain 3 times daily. Two hours before a meal,twice a day I take nattozomes. Mega glucosamine also twice daily.Plus rutin,also twice daily. I am so tired of hurting all the time. I have psoriasis, psoriatic arthritis, fibromyalgia, syntendovitis, among a host of many other things. Basically, I have painful joints, painful and weak muscles, and a painful tendons (which means the tendons is my hands swell to look like boxing and handicaps for about 40 hours from hand swelling to when they start to deflate). I have had these ailments for 20+ years even when most doctors didn’t recognize fibromyalgia was all in my head. As years go by, I just worsen and worsen. The docs won’t prescribe anything for pain because of the epidemic. I can’t live with the pain I have now. So I am willing to try this. I have heard of turmeric but hadn’t tried it and glad I didn’t since tweaks were made to better the product. Thank you for a chance to alleviate some of my pain. I have severe back burning and also stomach pains, fibromyalgia and osteoporosis. Out of all the herbs and natural medicine i have tried for my arthritis the one I always came back to is Heal n Soothe, it really does work, you start on a high dose and over the days ease down till you notice the pain creeping back , so add another capsule and over a few weeks you realise that your pain is so low as to make you wonder why your taking capsules at all.. I have been using HnS for 4 years now, and my dose to keep arthritis to a negligible level is maybe a couple of capsules twice a week tops, and thats after doing some hefty work for the fingers and joints to take. I am under the Care of a pain management Doctor! Has this information been made available to the medical community? Yes Lee, this is very common medical knowledge. Turmeric (curcumin) has been used for thousands of years and over literally thousands of studies have been done on it. Proteolytic enzymes have also been used for over 100 years to treat all sorts of conditions and diseases. I highly encourage you to explore our website to learn more about both. I am allergic to medicines that’s why i always prefer home remedies. Lower Back pain is my common problem. I had tries some treatments like massage with gel, hot water bottle, Coconut oil etc. i never heard that turmeric can also be used for back pain too. As I have read many herbs such as turmeric thin your blood. As I am due to have surgery soon, would you recommend stopping supplementation with “Heal n Soothe” until sometime after the operation.. Yes, Anyone taking Heal n Soothe should stop taking it 2 weeks before the operation. I take curcumin with boswella for ulcerative colitis. I did not see any stomach conditions listed in your write up. Have you studied the effects of your product on UC? The directions say to take Heal N Soothe 30 minutes before a meal but is it okay to take it with a small bite of something in order to get it down if a person has a hard time swallowing pills with just water? Jean, If you have trouble swallowing or feel the need to take with food, you may take Heal-n-Soothe® with a small amount of any non-proteins like carbohydrates such as rice, a plain cracker or slice of fruit. I want to take turmeric but have a lot of difficulty swallowing pills, so much so that I avoid swallowing pills alltogether, unless the pills are small gelatin capsules. I have arthritis in my knees and a torn meniscus, plus back pain sometimes, and have continual chronic ankle pain. I also struggle most days with IBS. Life would be a so much easier for me if I could get pain relief. Thanks for any, any advice or information you can give me!!! Patricia, If you have trouble swallowing or feel the need to take with food, you may take Heal-n-Soothe® with a small amount of any non-proteins like carbohydrates such as rice, a plain cracker or slice of fruit. I have been a concrete finisher for 32 years with about 2 years to go before retirement. Most of my day is spent fully or partially bent over or on my knees for up to 12 hours at a time scrubbing floors until they’re smooth and hard. Ive been taking Percocets and tramadol for years because of pain. Both shoulders are blown and I have degenerated discs in my neck and lower back. Recently I started taking “heal and soothe” and noticed I felt just a very small amount better first thing in the morning but my pain levels are about the same. I take 4 in the morning and 4 in the evening. Is there anything else you can suggest short of early retirement that can help? Thanks for all the new info on this thread. I appreciate it. I’ve been taking turmeric with black pepper and ground fenugreek seeds in carrot juice for several years now. It works for me, although I still seek to be totally pain-free. But still, “Look, Mom, no pain meds!”, I’m still avoiding OTC and prescrition pain meds! Now I will take the proteolytic enzymes also. Thanks again!